I have a few rolls of EFKE AuraIR820 left in the fridge. It’s not being made any more, which is a shame as it has an ethereal, grainy quality that suits some subjects. 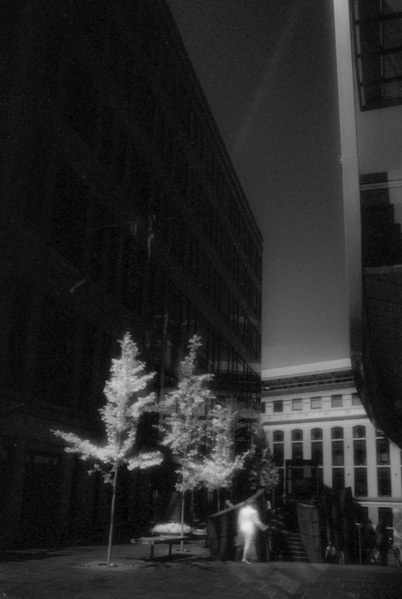 I thought I’d try it on urban trees to see how they react in infrared. They work well against dark, IR-absorbing buildings but the biggest surprise was how reflective some clothing is. I suppose this makes sense if you want to stay cool but I hadn’t considered this in advance. 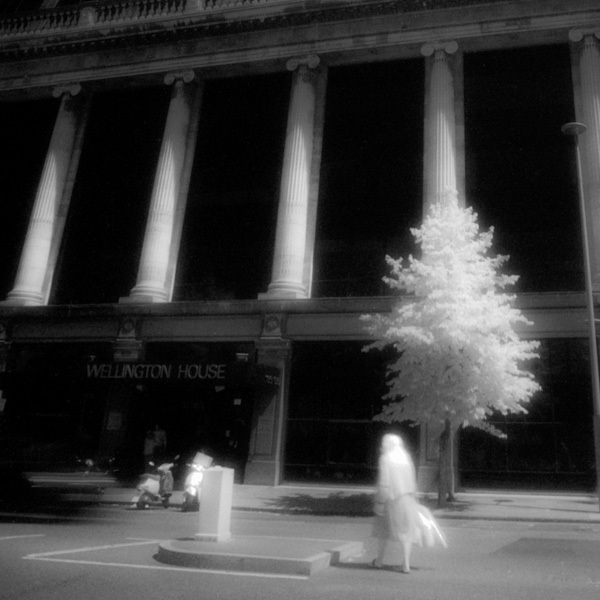 The slow shutter speed – around 1/8th second – has added to the ghostly appearance of the people.